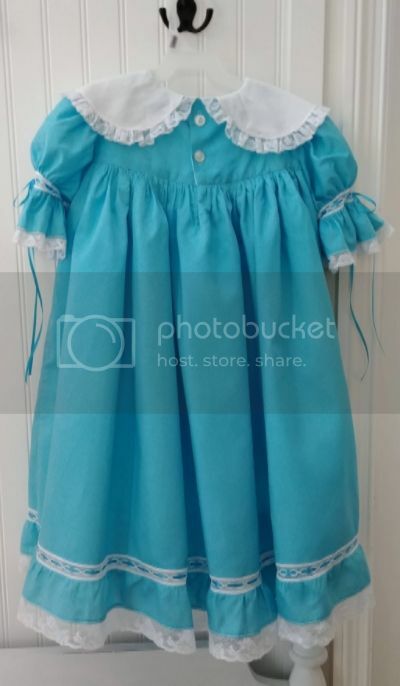 Status: offline Please allow me to share my DGD's birthday dress for this year . 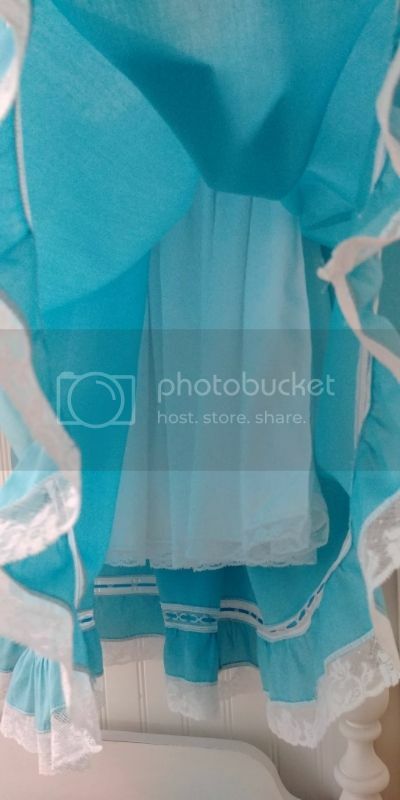 I have had this robin's-egg blue fabric for many years (while the MP Co. still sold fabric), but never quite figured out what I was going to make with it. Decided this was the year to use it. As many of you may know, I have a heck of a time trying to make slips that actually fit correctly . So, this time I decided to get around that problem--I lined the bodice, then attached a "slip" right to the skirt while making it . Problem solved! EDIT: I am sorry about the size of the photos; Photobucket seems to be messing these things up! None of these photos is properly cropped and re-sized . I really should find a new photo-hosting site. Status: offline That turned out so beautiful. She will love it. You matched your embroidery threads so nicely. Status: offline So pretty!! I love it!! And, your slip idea is just perfect!!! Status: offline Lovely dress...perfect for a 7 year old! 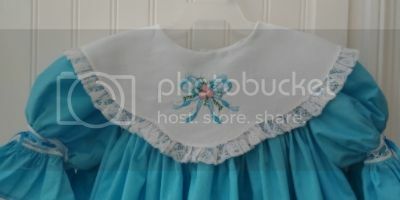 I love these heirloom style dresses on little girls. The slip is delightful as well - I think I'll borrow that idea for my next dress! Status: offline Love it, was this the dress with the sleeve problem? If so, what did you end up doing to cover the seams? An ingenious idea to solve that slip problem too. 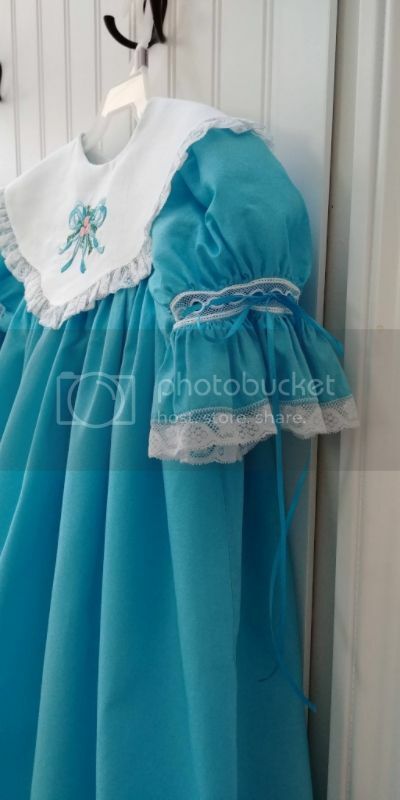 I'll bet she looked adorable in her new dress. Status: offline What a sweet, sweet dress and beautifully done!! The color is so pretty and I love the heirloom style dresses. Great idea with the slip...something I will remember! I know your DGD will love it. I hope you get a very special photo of her wearing it...those photos are so priceless to grandmas who sew! Status: offline Thank you, Ladies!! My DGD loved it (even though purple/violet is her favorite color ). As to the embroidery colors--I didn't think I had any colors that actually matched the dress color, so used the closest I had. Turned out that once the embroidery was done, the color off the spool matched extremely well! I always know to unwind some thread to match my fabric for regular sewing, but hadn't done that for the embroidery thread . Another lesson learned . Carol--Yes, this is the dress. You can find a photo of my solution here in the last post. Oh! 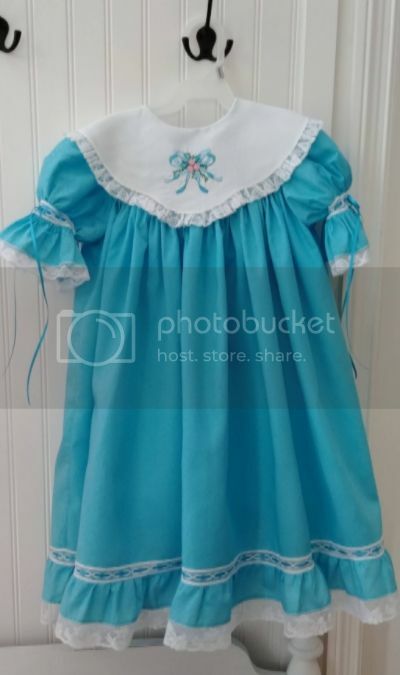 And a friend of my DIL, who has seen many of the dresses I've made for my DGD, wants me to make her daughter a Christmas dress--for money!! I'll be starting a new thread soon for advice on how to go about deciding on how much to charge her .